Before you apply: Please take note that correspondence will only be conducted with the shortlisted candidates. If you have not been contacted within three (3) months of the closing date of the advertisement, please accept that your application is unsuccessful. 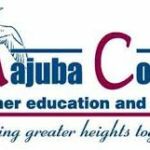 MAJUBA TVET College reserves the right not to fill any of these advertised posts. Applications: Applications must be submitted on form Z83 (Public Service Application form), obtainable from any Public Service Department, and must be completed in full. Applications must be accompanied by a CV, certified copies of qualifications, identity document and valid driver’s licence. Please Note: All copies attached must be certified a true copy of the original and not older than three months. Please send a separate and complete application for each post you apply for, stating the correct reference for each position you are interested in. Faxed and e-mailed applications will not be accepted. Candidates must comply with the minimum appointment requirements. CV’s should be aligned to reflect one’s degree of compliance with the advert requirements and responsibilities. 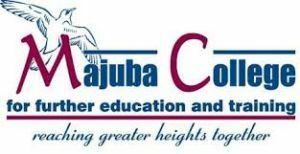 It is the sole responsibility of an applicant to ensure that their application reaches MAJUBA TVET College before 18 April 2019 at 15h45. Indicate the reference number and position you are applying for on your application form (Z83) and post your complete application to: The Principal – MAJUBA TVET College, Private Bag X6602, Newcastle, 2940 or hand deliver to the ‘CV’ Box at MAJUBA TVET College Central Office (83 Allen Street, Newcastle), between 07h35 to 15h15.